Happy New Year! 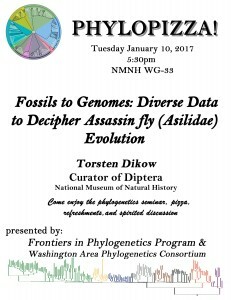 Our January PhyloPizza event will take place on Tuesday, January 10, at 5:30pm in the NMNH Vertebrate Zoology Seminar Room (WG-33). 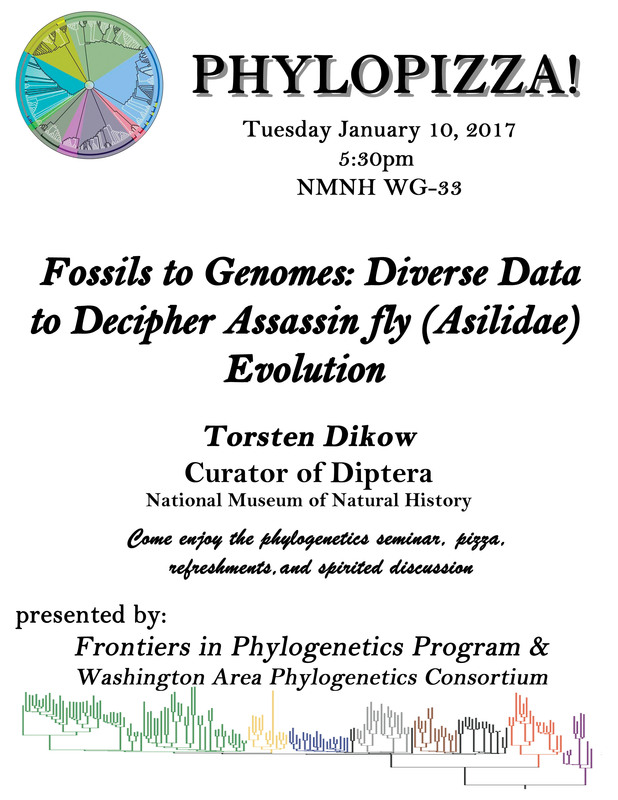 Torsten Dikow from the Department of Entomology (NMNH) will give a talk entitled “Fossils to genomes: diverse data to decipher assassin fly (Asilidae) evolution.” Join us!